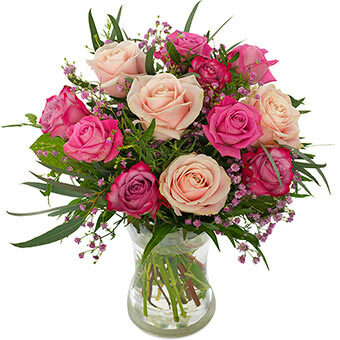 Rose bouquet in shades of pink. Giftwrapped. Florist delivered.